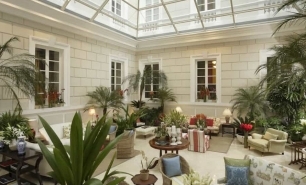 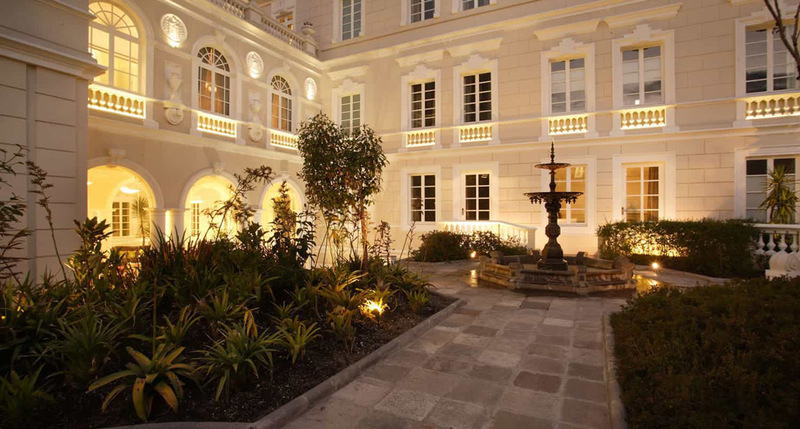 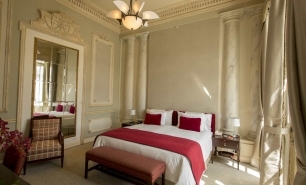 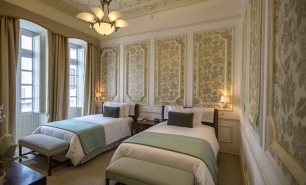 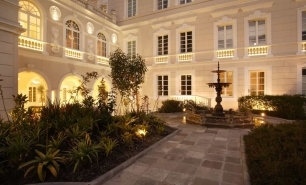 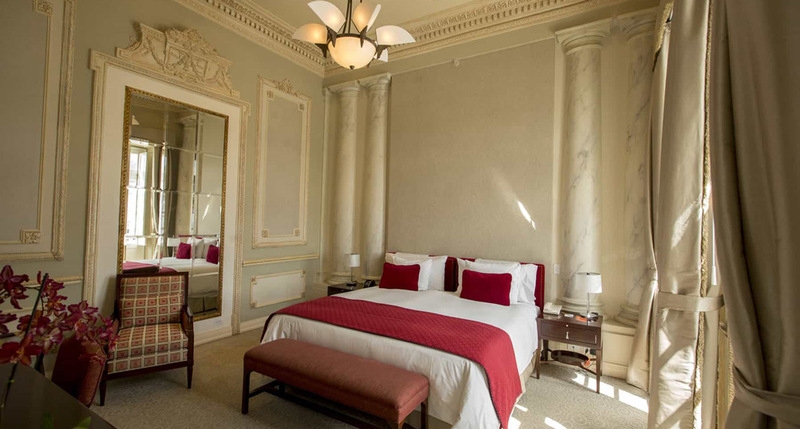 Casa Gangotena is a boutique hotel situated in a newly-restored historic mansion overlooking Plaza San Francisco in the center of Quito Old Town-the largest and prettiest old city in the Americas and a UNESCO World Heritage Site. 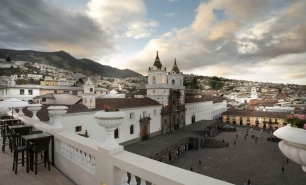 At 9,200ft (2800m) above sea level, Quito is almost on the Equator and is the highest capital in the world. 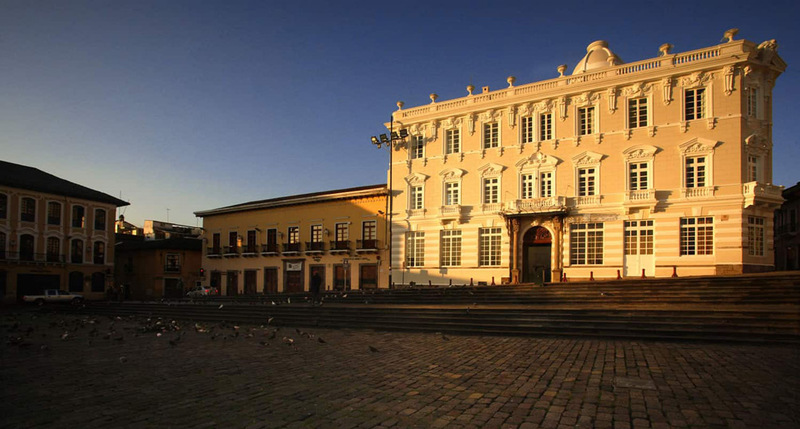 Casa Gangotena is a great place from which to explore, Quito's museums, churches, monasteries, and convents, and enjoy the city's restaurants and terrace cafes. Casa Gangotena opened in October 2011 after a four-year, USD $10-million transformation from a 1920s mansion to a stylish boutique property with 31 bedrooms. 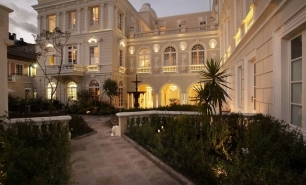 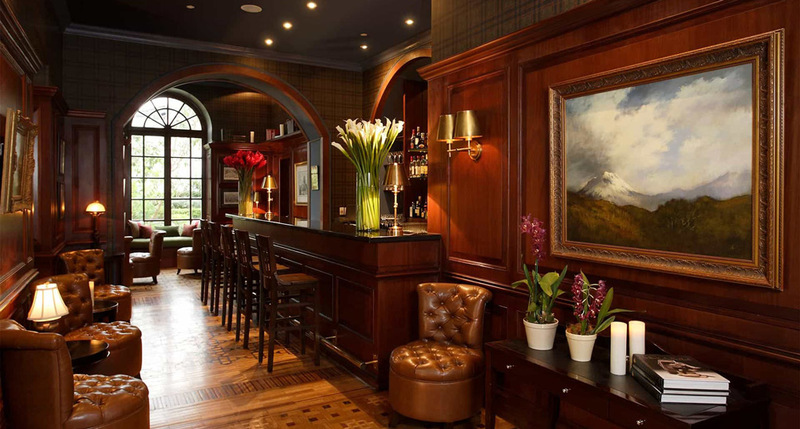 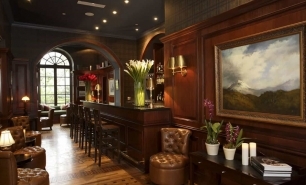 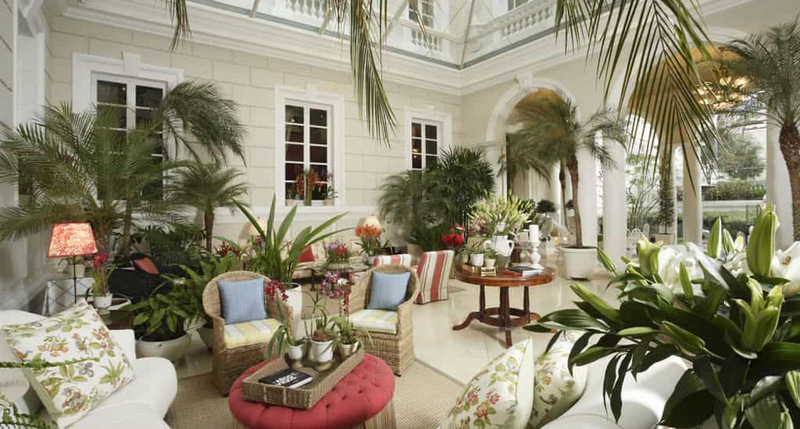 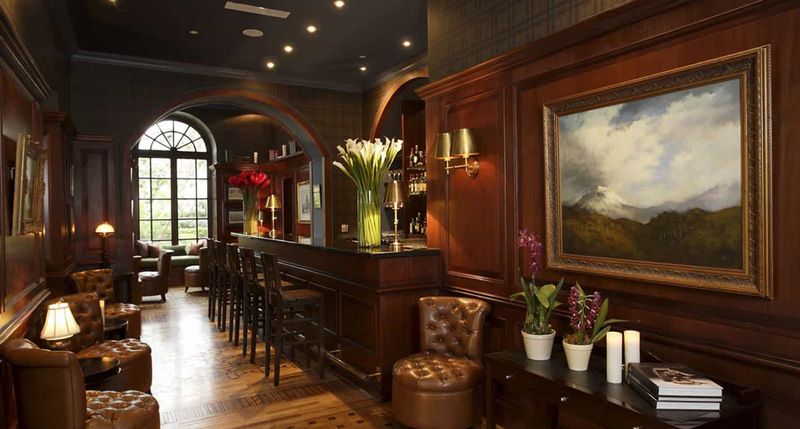 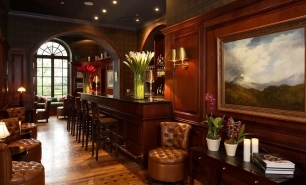 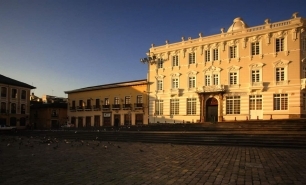 It is surrounded by renovated colonial houses, restaurants, and bars set in former palaces. 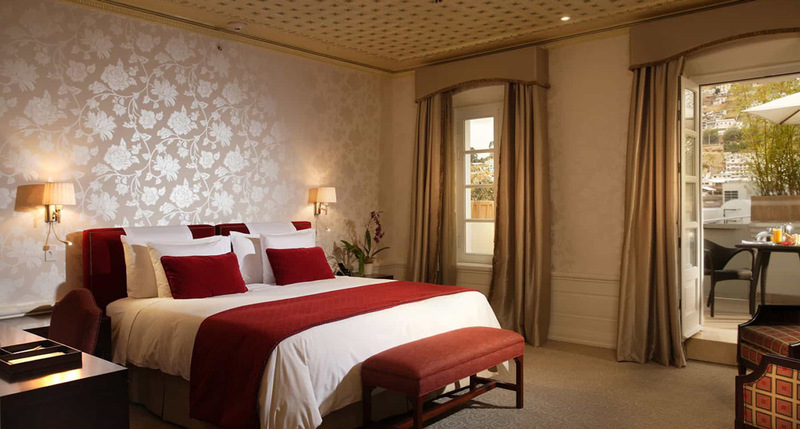 There is a rooftop terrace with excellent views of the Old City and mountains. 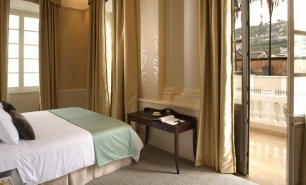 Casa Gangotena's rooms are located over three floors. 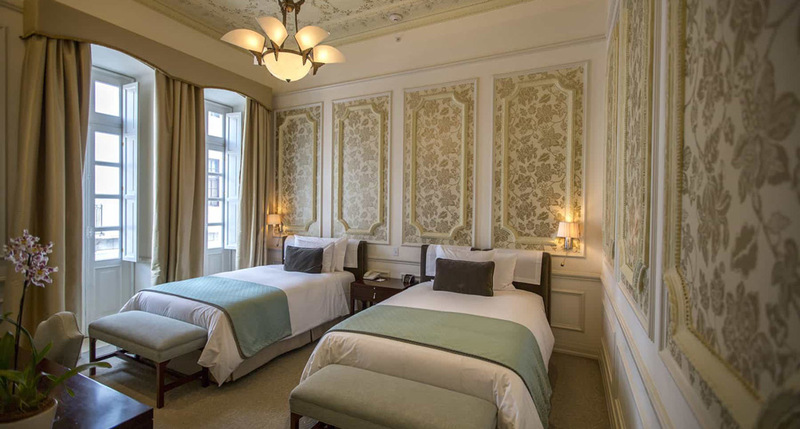 They vary in size from 30 to 45sqm and have views of the either the bustle of Calle Cuenca, of the hotel gardens, or for rooms on the third floor, the Virgin of Quito to the south. 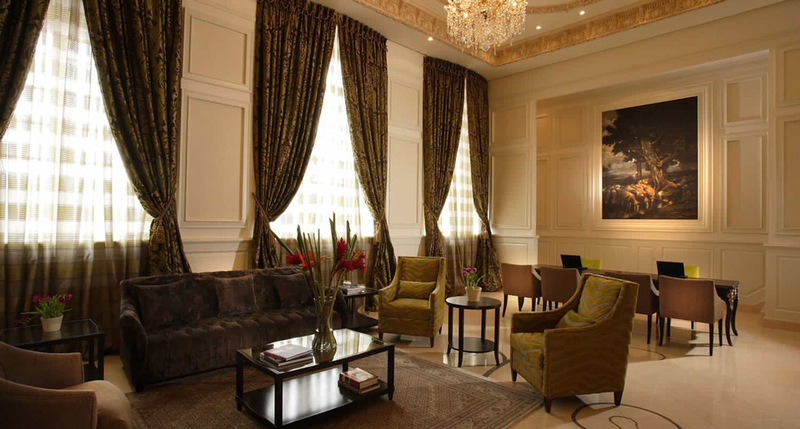 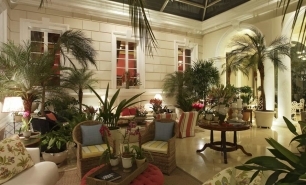 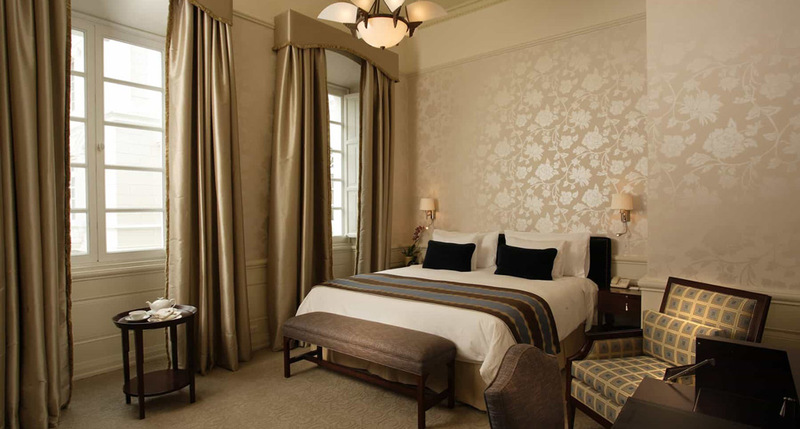 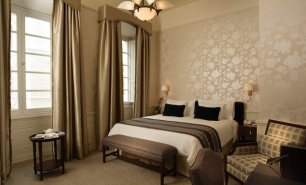 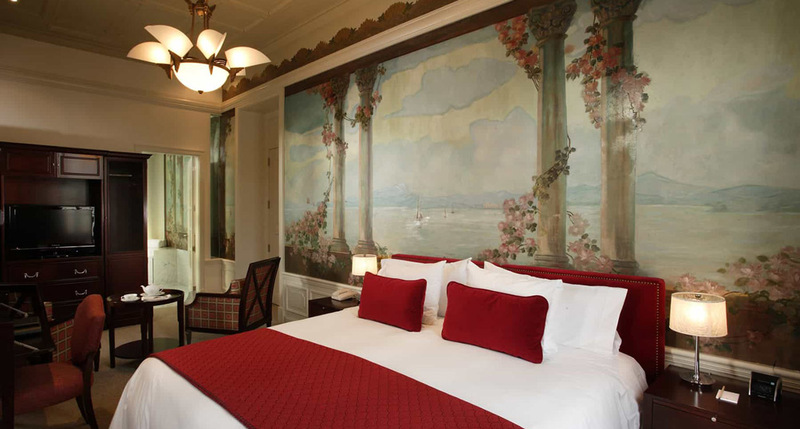 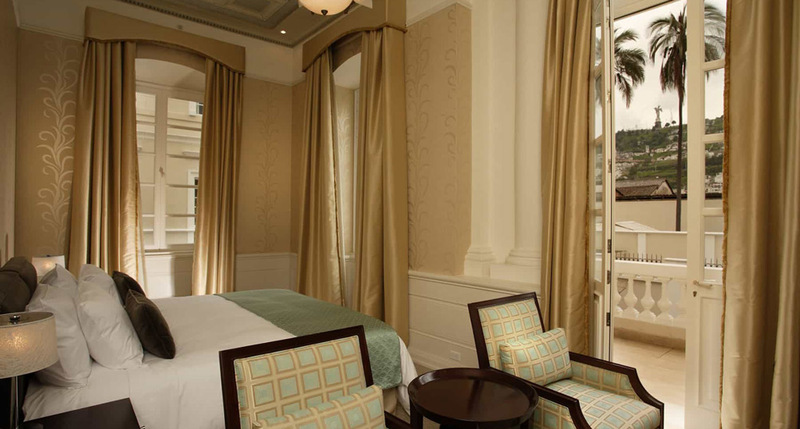 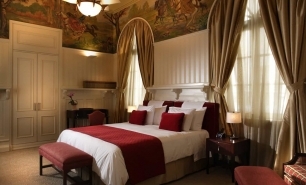 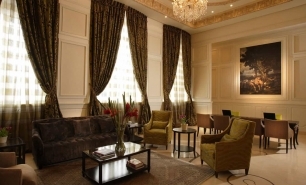 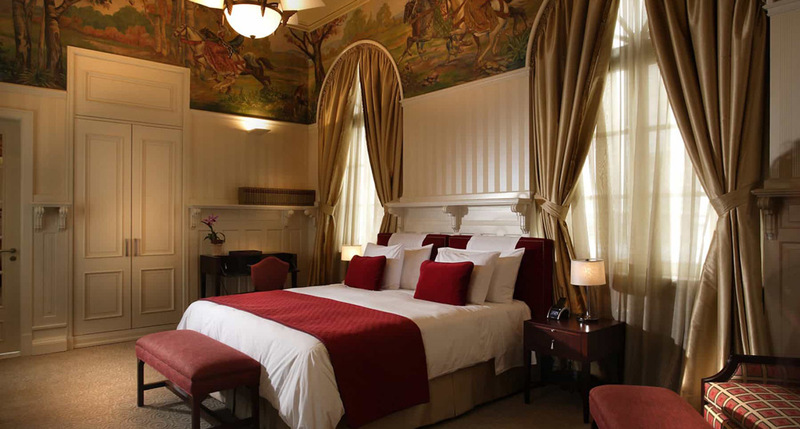 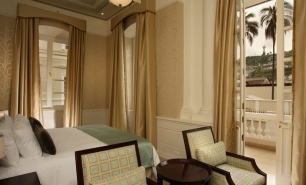 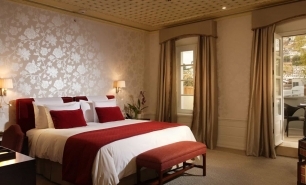 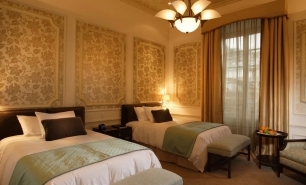 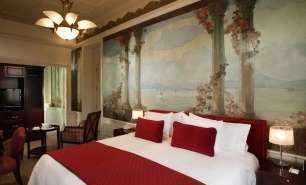 All rooms are air-conditioned and artfully decorated with Art Deco furniture and high ceilings. 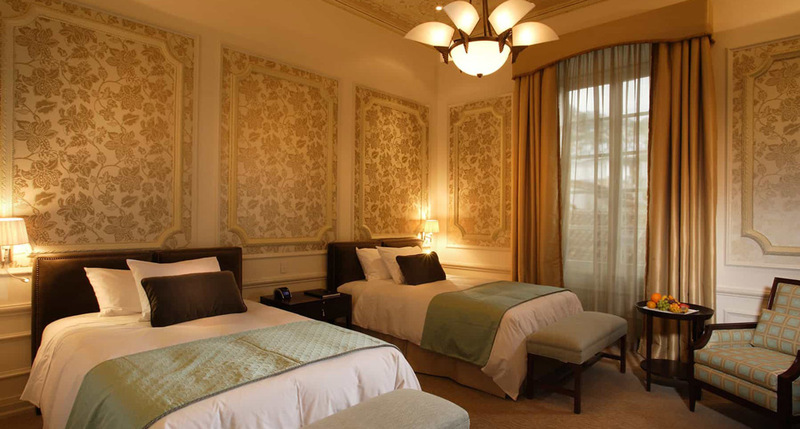 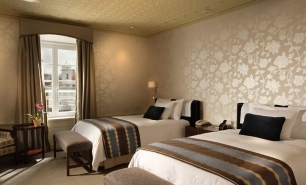 There are 8 spacious and beautiful rooms which overlook Plaza San Francisco. 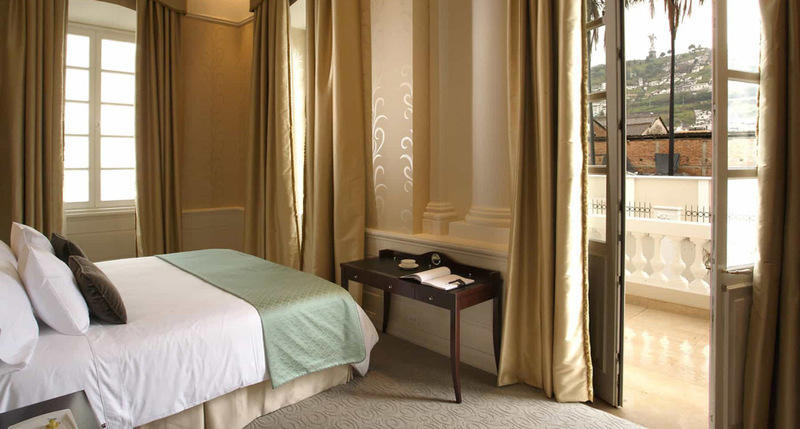 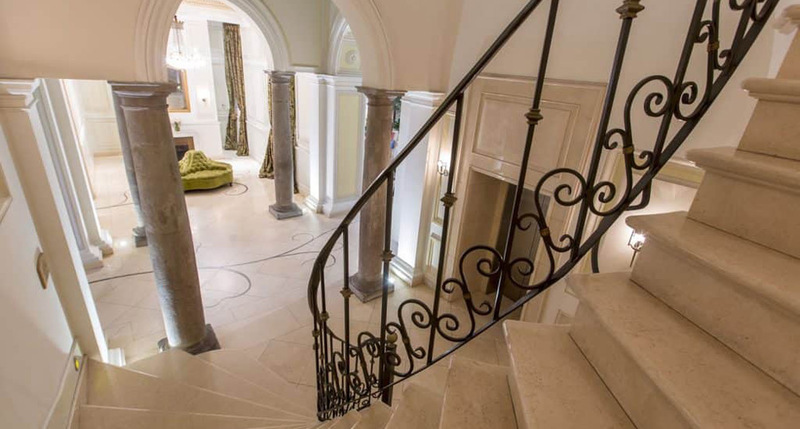 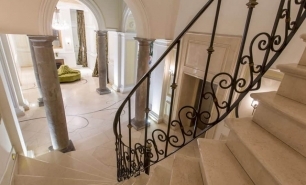 On the ground floor, two Luxury rooms open to the garden. 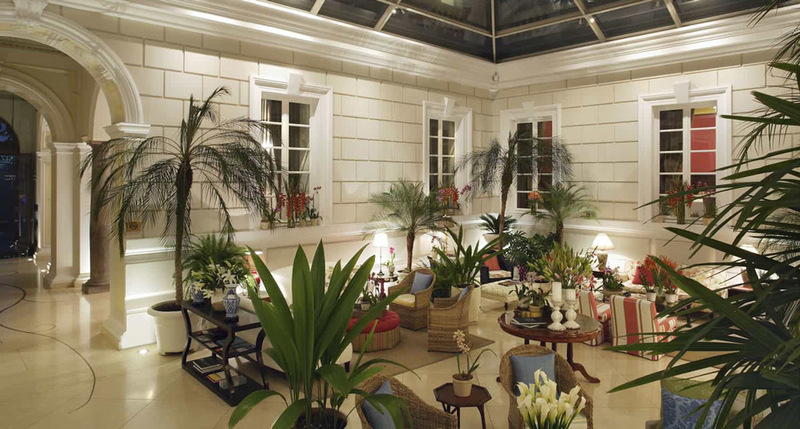 The restaurant at Casa Gangotena offers global and Ecuadoran menus, and is particularly renowned for its breakfast omelettes. 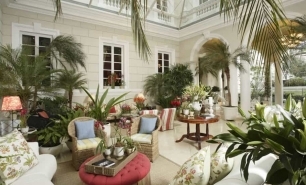 Afternoon tea with humitas (corn bread served in corn-leaves) and local hot chocolate served at the internal courtyard, is a highlight and is worth sparing time while staying at the hotel. 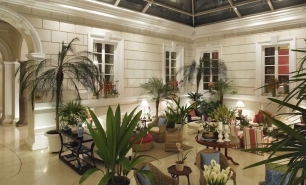 The hotel is 25 minutes from Quito International Airport (UIO). 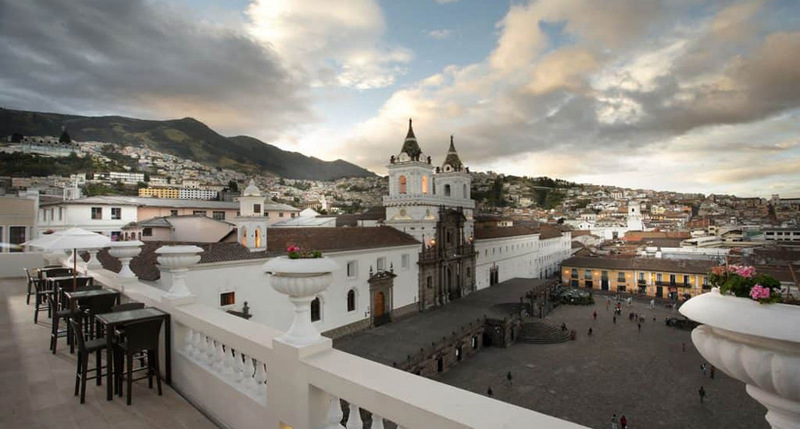 Quito can be visited anytime during the year, however June - September is considered the best time to visit i.e. 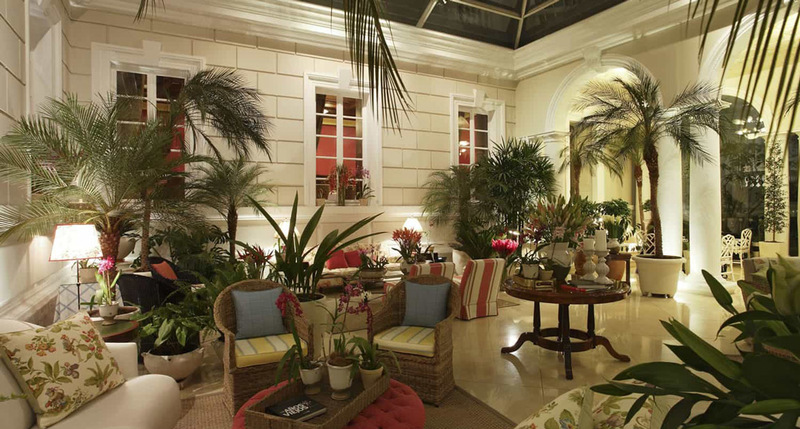 during the dry season when days are clear and sunny. 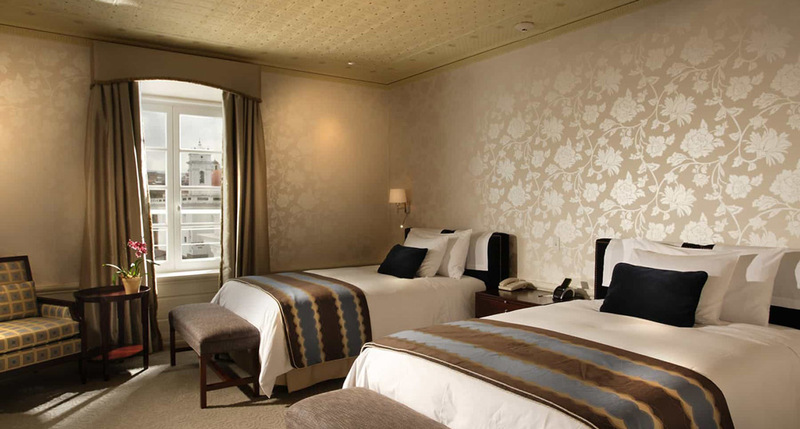 The best time to visit Galapagos is between January and May. 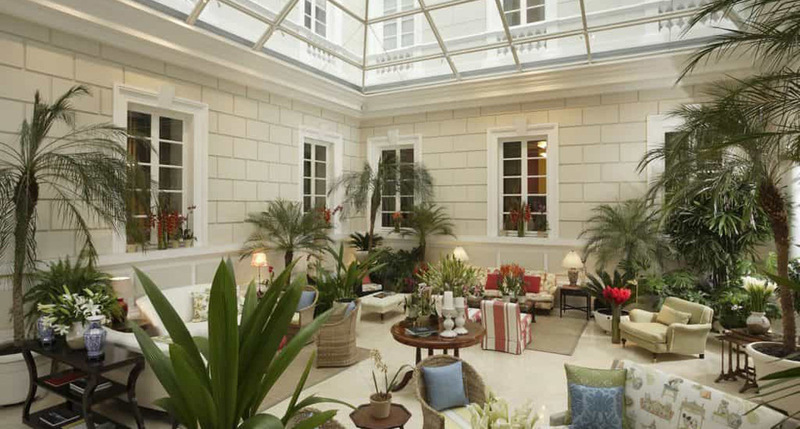 The rainy season (occasional showers and higher humidity) runs from December - April.